You’re in the supplements aisle of your local natural foods store, and you’re shopping for a specific nutrient. When you find it, chances are you’ll encounter more than a few choices. 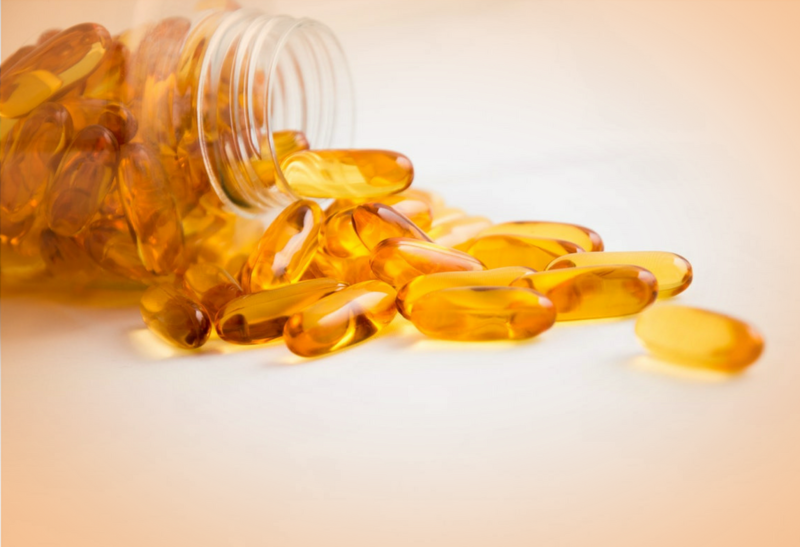 So which supplement should you buy? Knowing what to look for on the label can help you make a quick, confusion-free decision. Reading the Supplement Facts panel—and understanding it—can feel like a task that you’d rather skip. Don’t. The Supplement Facts panel contains valuable information about what you’re actually buying, and how much. Here’s a quick overview of the facts you’ll want to check before you buy. Serving size—This is the number of soft gels, gummies, tablets, or teaspoons the manufacturer recommends you take to reach the nutrients levels stated on the label. Unless otherwise noted, the serving size is for adults and children ages 4 and up. Ensure that you double check this, as some nutrients can be in the range of multiple tablets per day, which is not always suitable for everyone. Servings per container—This is how much of a daily supply you’re actually buying. If you’re comparing prices, make sure you’re comparing supplements with the same number of servings per container to get an accurate read on how much each supplement costs. Sounds obvious, but it is a common misstep to reach for a less expensive brand only to find out that it contains fewer servings per container than another brand with a higher price. Amount per serving—Here is where you’ll want to check the actual nutrient levels a particular supplement contains. If you’re shopping for a children’s multivitamin, for example, you’ll want to compare nutrient levels for each brand you’re considering to get the most value for your purchase. Nutrient levels are most commonly measured in units of weight: grams (g), milligrams (mg), and micrograms (mcg). Fat-soluble vitamins such as A, D, and E have traditionally been measured in international units (IU), which is a measurement of biologically active substances that produce a particular effect. % Daily value—These percentages reflect how much a particular nutrient contributes to your daily nutritional needs. Asterisk or dagger in place of a percentage means that no daily value has been assigned for that particular nutrient. If you’re already taking other supplements daily, you’ll want to read these values carefully to make sure you’re not getting too much of a good thing for some nutrients, or not enough of others. In other words, some math here might be required. When you go shopping for supplements to add to your daily routine, bring along a list of what you already take so you have this information at the ready. Ingredients— Ingredients that are not the main nutrient (preservatives, fillers, etc.) are usually listed at the bottom of the label, in descending order of weight. It’s an important list to read, especially if you know you have allergies or food intolerances. 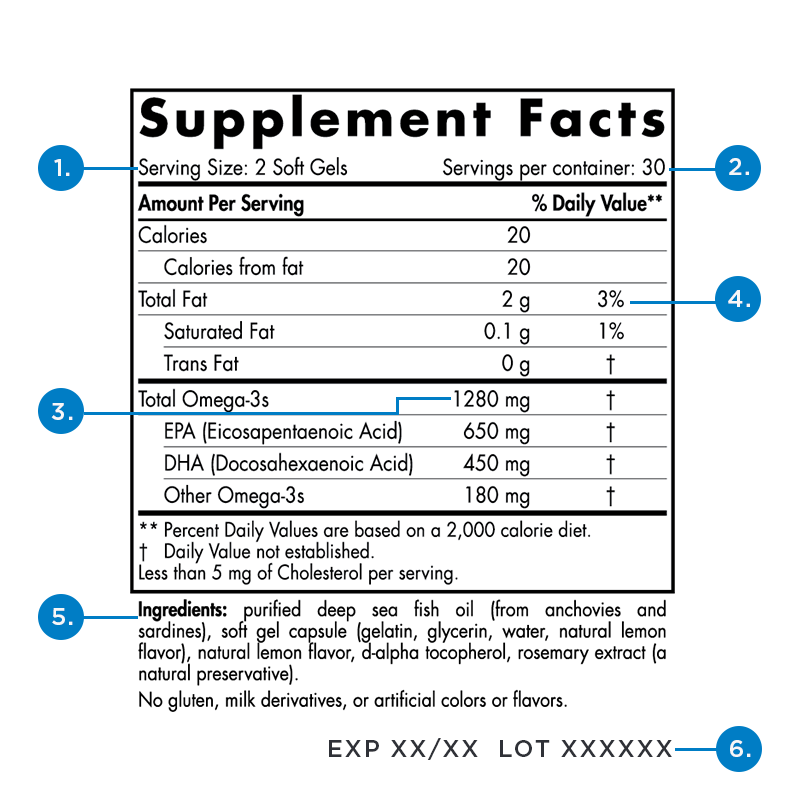 Expiration date & lot number— Manufacturers will include this information on the label so that you know exactly when your supplement was made, down to the specific manufacturing lot or batch. This information is particularly useful if you’re concerned about the quality and freshness of the ingredients used to create your supplement.